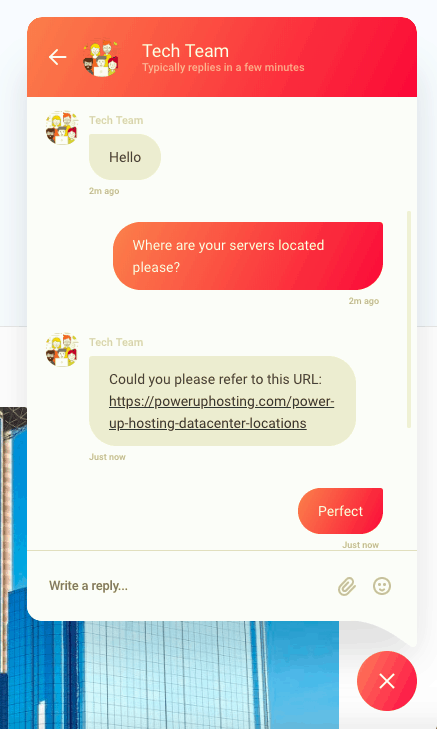 Power Up Hosting Review 2019: Is Power Up Hosting a Good Hosting? U.S. hosting provider Power Up Hosting offers SSD shared hosting plans. With generous resources and excellent customer service, its plans are hard to fault apart from limited support for programming languages beyond PHP. Power Up Hosting is based in Los Angeles, U.S.A., and has servers colocated in multiple worldwide data centers. It offers a range of SSD-based Windows and Linux hosting plans to thousands of customers from an English language website. The plans come with a decent selection of performance-enhancing features including SSD storage for faster disk read/write speeds, the popular cPanel control panel, LiteSpeed Web Server for improved performance, and CloudLinux which isolates you from other hosted users. You get all the standard features you’d expect from a hosting plan, e.g., FTP accounts, MySQL and Microsoft SQL databases, Cron jobs, and SSH access. While PHP is supported, customer services confirmed to me that there is no support for additional programming languages. Beginners will benefit from a website building tool and a one-click installer. The unlimited resources are generous but are subject to the usual kind of “fair use” policy detailed in the terms and conditions. 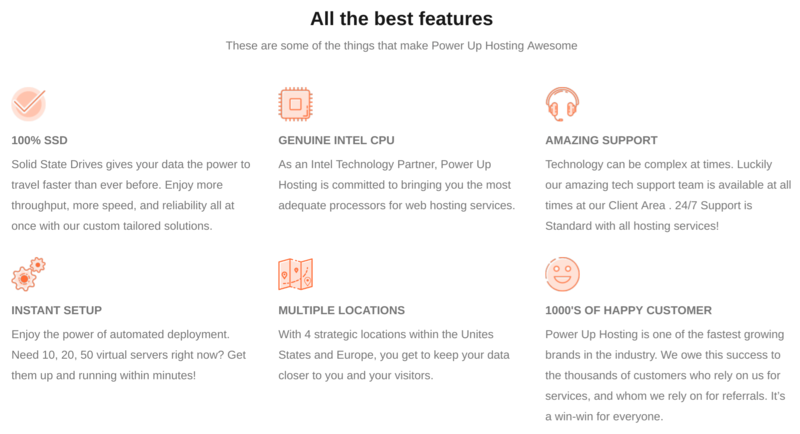 Power Up Hosting has servers located in Los Angeles, Dallas, New Jersey, and Amsterdam. You get a 99.9% uptime guarantee, which is a little below the industry average and it is not backed by an SLA as far as I can see. The plans are good value for money compared to other U.S. companies and international vendors, especially when you consider that the servers have so many performance-enhancing features and unlimited resources. You have to pay extra for a domain name and an SSL certificate, but it still feels like you’re getting a good deal. Plans are only available on monthly terms, so there are no long term discounts. If you’re unsure about signing up – even on a monthly basis – you can take comfort from the generous 45-day money-back guarantee. You can select the location of your server at the checkout, and configure your base plan by adding memory, CPUs, and more. Some of these customizations are unusual for shared hosting and are more like what you would expect from a VPS hosting plan. There are no obvious help documents (unless hidden behind the customer login), but there is a very comprehensive, regularly updated blog containing super-helpful tutorials. Power Up Hosting’s feature-packed, affordable shared hosting plans are comprehensive, and this provider also sells enterprise-level hosting plans for when you’re ready to scale up. Power up your online presence with Power Up Hosting! Wondering how Power Up Hosting stacks up against other Web Hosting companies? Enter any other Web Hosting company and we will give you a side-by-side comparison.